Purple passion spinach, also known as red orach or mountain spinach, is a garden plant that has it all. Pretty, tasty, and nutritious, its broad, velvety leaves range from deep, red-veined green to brilliant purple, making it one of the most visually striking edible plants available to the home gardener. While purple passion spinach is actually a variety of orach, rather than a true spinach, it packs all of the nutritional wallop of "regular" spinach and then some. Photo by daveesa on Flickr. The leaves are delicious raw or cooked, though they don't retain their vibrant hue when cooked. Tasty, attractive, and nutritious purple passion spinach is also ridiculously easy to grow in the ground or containers. A heat-tolerant cool weather crop, it can be grown at some time of year in most climates, and year-round in mild climates. In coastal California's alternating sun and fog, I can sow my orach seeds anytime from late fall through late spring, though germination rates suffer during the coldest part of our mild winters. I particularly love the winter crop, as the purple leaves bring some much-needed color to the winter garden. Purple passion spinach likes full sun and well drained soil. 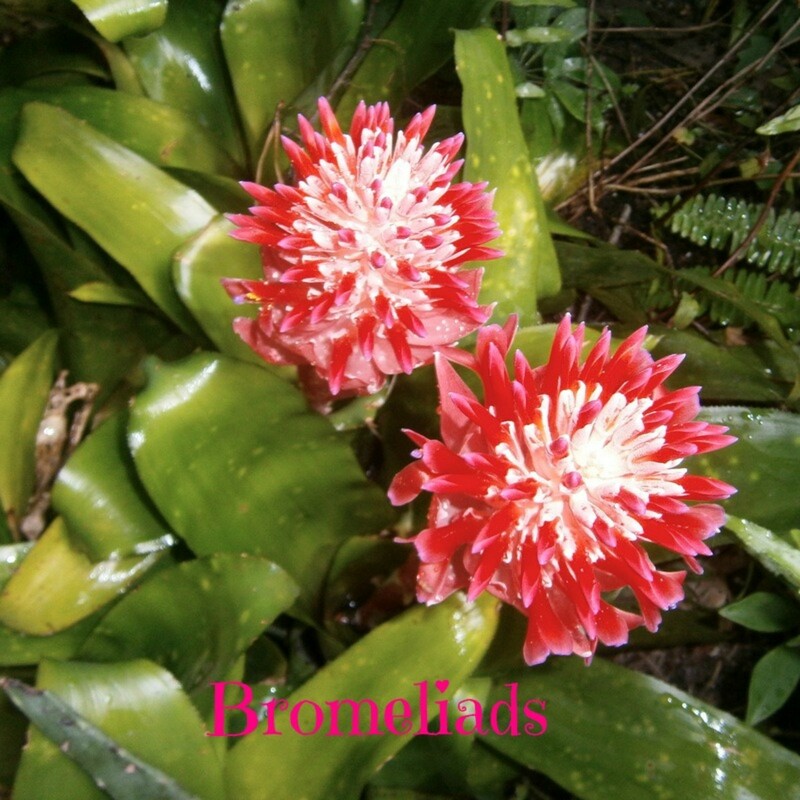 An extraordinarily tolerant plant, it can withstand heat, drought, and even moderate frost. Too much adversity, though, will result in a slow-growing plant with tougher leaves. While orach resists bolting at warmer temperatures than spinach will tolerate, it will bolt under full summer heat. For a harvest through the summer, plant regularly and harvest the leaves while the plants are young. Purple passion spinach thrives in the container garden! It can be grown on a sunny patio or balcony, in a bright window, or under a small grow light. Whether you sow directly in the ground or grow your orach in containers, work some compost into the soil at planting time and you'll be rewarded with a thick, lush crop of tender leaves. A true annual, red orach will not grow as a perennial. It will, however, frequently reseed itself from last year's crop, making it a low maintenance choice for edible landscaping. Germination can be a bit slow, though cool temperatures, constant moisture, and soaking seeds prior to planting can all help speed things up. Once the seedlings are started, though, look out world! This hardy little plant can adapt to just about any environment where it gets a minimum of 5 hours a day of sun. Delicious, nutritious, beautiful, and rugged... what more could a gardener want? Purple passion spinach can easily be started from seeds in peat pots or pellets. Keep your growing medium moist but not wet, using a spray bottle as necessary. In Northern California, I generally sow indoors toward the end of winter, and toss a few seeds directly into containers outdoors in the early spring and late fall. Purple passion spinach can easily survive a light frost, but will die off if exposed to prolonged freezing or snow. Once you have a patch going, it will usually reseed well enough to provide numerous "volunteers" in that area the next year! Purple passion spinach seeds can be a little slow to start, particularly if temperatures are too warm, but once you get them going, they're nigh unstoppable. Plant any time, indoors in small pots or directly outdoors, when the nighttime temperatures are neither freezing nor too far above 50 degrees Fahrenheit. Purple passion spinach grows very well in the container garden! A robust and adaptable plant, it will tolerate a 1 gallon container, thrive in a 2 gallon container, and positively glow with health in a 5 gallon container. Plants grown in smaller containers won't grow as large or produce as many tasty leaves as those grown in larger containers. They will, however, be just as perfectly, prettily purple. During periods too cool or too warm for larger orach plants to thrive, a small container can still grow a great crop for use as baby greens. Choose a container with good drainage. Purple passion spinach grows best in soil that is moist, but never soggy. Fill your container with a mix of potting soil and compost. Place your container in an area that gets plenty of sun, preferably at least 6 hours a day. Water regularly, and try to keep the soil moist without ever letting it get too waterlogged. A nice layer of mulch will help! Like many leaf vegetables, your purple passion spinach will benefit from an occasional nitrogen boost in the form of coffee grounds. 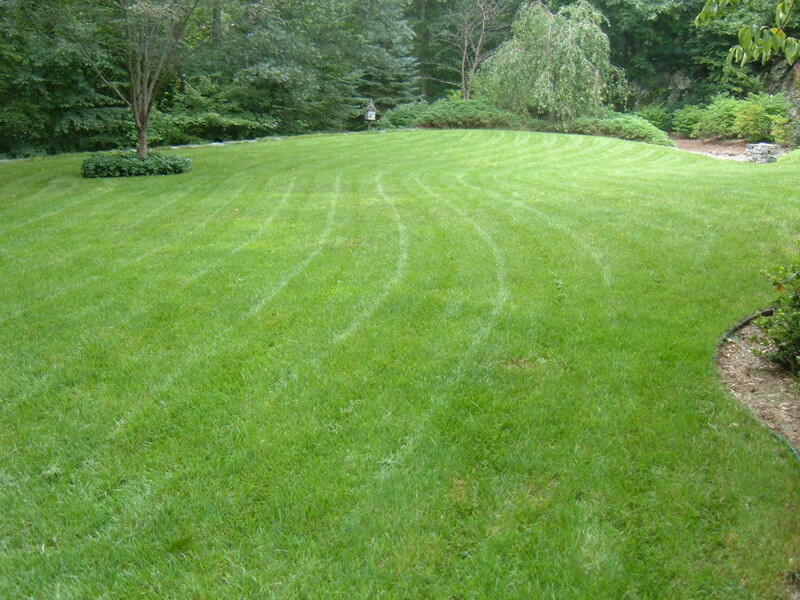 Lightly mix a few tablespoons of used grounds into the top inch of soil about once a month, and then water generously. When your purple passion spinach reaches about 6 inches in height or has more than 8 leaves, you can begin to harvest the leaves. To avoid slowing its growth, never remove more than half the leaves from a young plant. As your plants grow taller, you can harvest by removing the top few inches from the plant, rather than plucking individual leaves. This will encourage branching and result in bushier plants and a heavier yield. Short on space? Plant purple passion spinach in the top of a Smart Pot or other fabric container, and an assortment of herbs in side pockets. Side pockets can be created in a Smart Pot by simply cutting an "X" in the side of the container, burrowing a hollow into the soil, and tucking a seedling into the "pocket" you've created! These side pocket plantings make efficient use of tight space and create a vibrant and unique look. Here's a look at a patch of red orach growing alongside yellow orach in the garden. 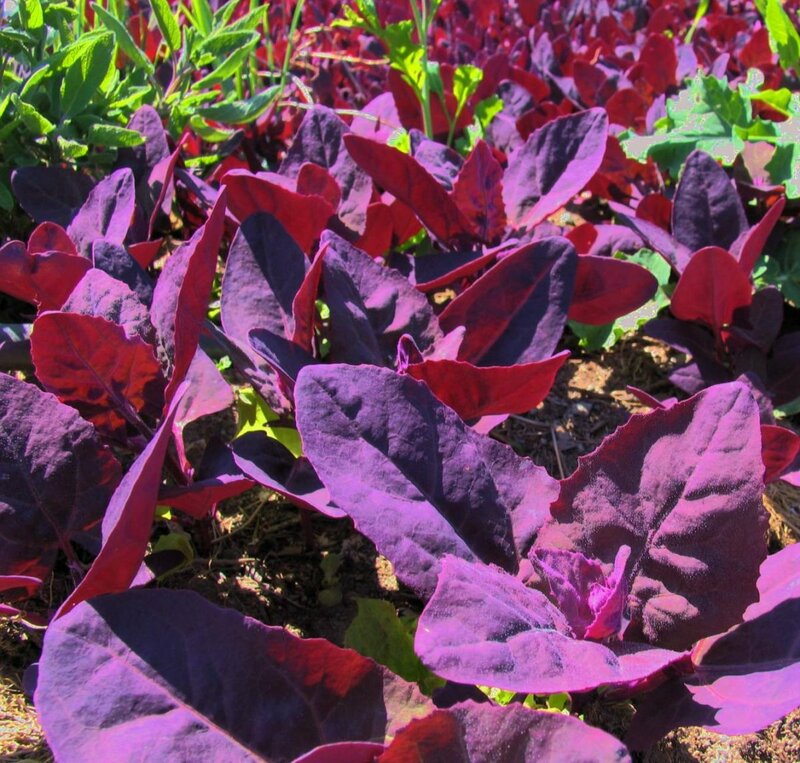 Mixed colorful orach greens make for a truly eye-catching salad and a wonderful splash of edible color in the garden. Have You Grown Purple Passion Spinach? - If Not, Would You Like To? Purple passion spinach is no harder to grow than "regular" spinach. In many areas, it's actually a little easier to grow, as it tolerates heat quite well. While seeds have become readily available, and this old crop has seen a recent renewal of interest, purple passion spinach is still not as widely found as many other garden vegetables. Have you tried it yet? Do you plan to? Is there a place for purple passion spinach in your garden? Yes! It purples up my garden every year! Yes! I haven't tried it yet, but it's on my list! Nope. Not a fan of spinach. Nope. Not a fan of purple. Nope. I like my leafy greens... green. Easy to grow and oh-so-pretty, orach is a must-have plant for home gardeners and edible landscapers. Here are some of the best resources I've found for learning about the care and uses of orach. Cornell University's guide to growing orach in the home garden. A growing guide with some great pictures, and a recipe for a unique soup featuring red orach. Notes on growing "hillbilly spinach" from ramblinrobert at urbanagroecology.org. I'd never heard this term for orach, and love it. Grow orach indoors for tender little salad leaves. Beautiful, healthy, and overflowing with decadent layers of flavor. Plan a Decorative Vegetable Garden - Beauty Loves Company! Purple passion spinach is quite lovely on its own, and exquisite when paired with other colorful fruits and vegetables to form a display that feeds the eyes until the time arrives for it to feed the stomach. Produce that you grow at home has every advantage over produce bought at the store. Fresher, tastier... even better for you, home grown veggies are an all-around win. How perfect that so many of them are also pretty in the garden! 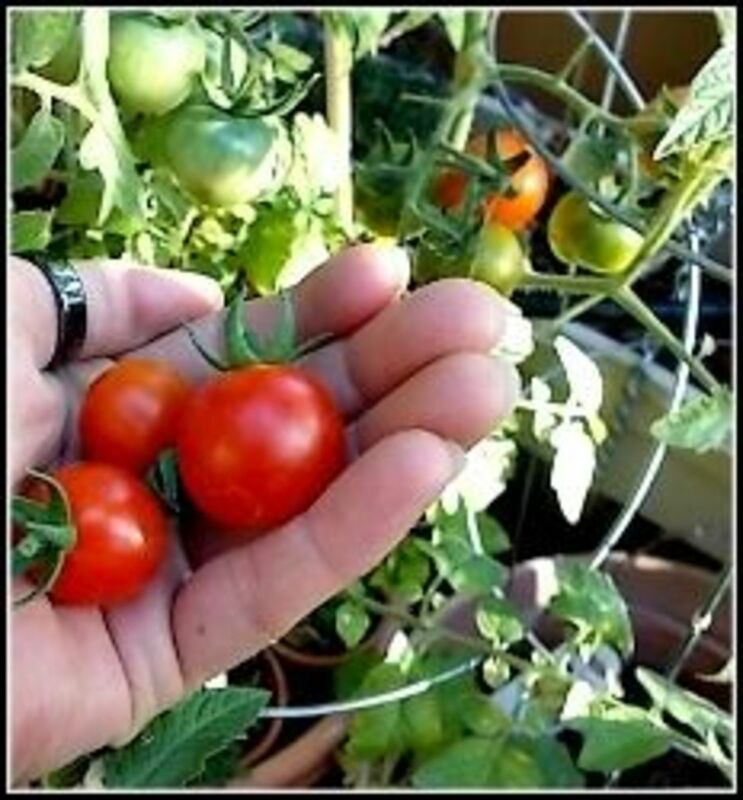 With the wide variety of colorful and attractive fruit and vegetable bearing plants available to the home gardener, home grown produce can also beautify your yard and home. Many vegetables are preceded by beautiful flowers and accompanied by attractive foliage. A vegetable garden planned with aesthetics in mind can please the eye just as a flower garden can. Select your plants with an eye toward colors, shapes and sizes that please you, and combine them creatively, and your vegetable garden can be a feast for the eyes! Ivette Soler's The Edible Front Yard is a thorough and gorgeously illustrated guide to the wonderful world of the decorative vegetable garden. Bring your edible crops into the spotlight, and enjoy fresh, conveniently located food and the most beautiful and useful front yard on the block! I'm a huge advocate of front-yard vegetable gardening. Sadly, some folks are under the impression that vegetables and other edible crops are inherently unattractive, and unsuitable for display. If your homeowners association or, less formally, your most vocal neighbors, are touchy about front yard veggies, these eye-catching and tasty varieties may help you change a few minds. Cauliflower grows well when planted in late summer, great if you missed an early start to the garden, and a welcome splash of color in the winter garden. A great crop for spring and fall, romanesco is a stunning example of nature's love for fractals. Little orange eggplants offer all the flavor of their larger relatives and make an awesome conversation starter. My favorite tomato, the Indigo Rose is so beautiful! The skins are sparkly, almost metallic, and a true purple-black, not the muddy brown of most "purple" tomatoes. If you've grown purple passion spinach, I'd love to hear about your experience with it! If not have you grown other decorative edibles or unusual veggies you'd recommend? Let us know about them here. Passionate About Purple Spinach? - Or Eager to Try It? This stuff looks so beautiful! Perfect for an edible garden. My kids had a school with an edible schoolyard. @imccallusa: Orach is somewhat more heat tolerant than traditional spinach. I hope it works well for you! Good luck! Purple is my favorite color. I have not had much success with spinach in the past, it bolted, so I am hesitant about where to put this. I can't wait to see if it will grow beautifully. Great lens about a highly nutritious vegetable that looks and tastes wonderful! Love this - pinned to my board "how does your garden grow" and linked to my own lens on edible landscaping. @anonymous: Amazing, indeed! That's exactly what I said when I first saw that broccoli. I've never heard of purple spinach or cauliflower and certainly not the fractal broccoli. Wow! Nature is amazing! I've got to find or grow some of each. Spinach is my favorite I will have to plant some this year. Not sure if I could get my kids to eat it, but it sounds great to me! I like spinach very much and will make a lens of its recipe soon. Haven't tried growing at home but after reading this its on the list. @MBurgess: Thank you for visiting! I'm with you... the combination of attractiveness &amp; edibility makes any plant a hands-down winner in my garden. I don't have the space to choose one or the other! Purple AND a veggie plant!? This is a winner for my garden. I think I have one spot I can put some of this colorful and healthy spinach in... If not I am making room! Great lens - the pics are fabulous! @GardenerDon: Oh, there is just nothing like a large load of llama poop! I'm pretty much a peas &amp; carrots type of gardener. Maybe I need to get some Llama poop &amp; go composting to broaden my horizons! We have something similar to this in China - but I can't quite tell if it is the same. Looking forward to trying out some in the garden back in the US. Thanks! I love new veggies. Beautiful lens. I like the color of this spinach, I am going to plant it in my garden, it really looks gorgeous. @Countryluthier: Thank you! I agree, it's the union of decorative and utilitarian virtues that make this veggie so cool. I really appreciate your blessing! I like the color! This looks like a great vegetable with two purposes. COUNTRYLUTHIER blessed. @TaraWojt: I hope you do tuck a little patch into the garden this year... it's such a cool vegetable, once you try it, you'll be hooked. I've never heard of purple passion spinach but now I want to try it! Oh yes, I want some! As a lover of spinach, and one who adores the color purple, what's not to love about purple spinach? You have convinced me that I must start some of these seeds immediately. Thank you! Nicely done site! It looks super-healthy. Looks good purple spinach.. i haven't seen it. We have lots of these in Hanoi when we are there and I love to put these in our smoothie each morning. Came back to bless this lens. How neat! Thanks for sharing - blessed by a SquidAngel! Wow! that is beautiful spinach! @Stazjia: It does taste as good as it looks... provided you like "regular" spinach. The flavors are nearly identical. Thanks for reading! I've never heard of purple spinach before but it looks lovely and worth growing for its colour alone. Even better, if it tastes as good as it looks. @anonymous: I hope you enjoy it! Orach and spinach are so similar in flavor that most people who like spinach enjoy both. I'm definitely passionate about regular spinach and after reading this I'm ready to give purple a try! It's amazing how many varieties of various veggies and fruits are out there; yet most people aren't aware of them. @aesta1: Thanks for dropping by! If you like spinach, you'd probably like orach, too. The flavors and consistency are very similar. I don't really know red orach. I have seen them but didn't know what they are. I love all veggies, especially spinach but I've never tried purple spinach. I am going to now though. Thanks for sharing the great info. Never heard this name for it, but have often grown Red Orach and loved it! I've never seen it here in Mauritius, maybe I didn't notice or it's not available here. It sounds really yummy. Thanks for this beautiful sharing. I've never tried it, but you have me curious! @flycatcherrr: I like to save most of mine for early fall, anyway. The summer garden already has so much going for it... I feel like this beautiful purple is *worth* more in my more-finicky winter garden! That purple spinach would look smashing in my garden. Too late to get it in this spring, but perhaps an early-fall planting, if the weather holds. Very beautiful lens! Thumbs up! Oooh. I would love to grow this. Must look out for it. This lens has been blessed and added to my Growing Vegetables and Herbs lens. Hard to get used to a different color but it would look really nice in the salad. There wasn't a choice for me on your poll: I'd never heard of purple spinach before. I do grow tomatoes - I will have a home grown tomato for breakfast shortly - and peppers(jalapeno this year) and some herbs, but I've never tried to grow spinach. You learn something new every day, and on Squidoo, usually several things!! Wow, I'd never heard of purple spinach. It is beautiful and I'd love to give it a try. It looks so beautiful! Great lens! This sounds marvelous for adding color to a salad. Spinach is pretty tolerant in it's growing too.